The National Rifle Association has been pushing the Interior Department for years to allow people who've been issued permits to carry concealed guns, to bring them into national parks. Visitors need protection from wild animals, according to the NRA's Rachel Parson. And national parks have become havens for crime, she says. "Park visitors are not immune from attacks from criminals or animals," Parson said. "Crimes occur on parkland every day. And it is very important that law-abiding citizens be able to protect themselves while they're enjoying the national parks in this country." But in reality, statistics show national parks are relatively safe places to visit. The U.S. Interior Department says in 2006, there were 11 homicides and 373 other violent offenses in the nearly 400 parks and other lands administered by the National Park Service. More than 400 million people visited them during the year. The main reason for allowing concealed carry in the parks is to bring federal land in line with state laws, says Chris Paulino, deputy press secretary with the Interior Department. "Since the regulations were adopted, now 25 years ago, a lot of states have updated or changed their firearm laws," Paulino said. "In fact, now 48 states allow for the carrying of concealed weapons. What we looked to do was to update these regulations, to bring them into more conformity with the present practices of the states." Minnesota passed its own concealed-carry law in 2003. The Interior Department received a letter from 51 U.S. senators, urging the rule change. Sen. Norm Coleman, R-Minn., was one of them. There's legislation to the same effect in the Senate, but it's been put on hold while the department considers acting on its own. Several national parks advocacy groups have come out against the idea, including the Association of National Park Rangers and the Coalition of National Park Service Retirees. Those groups say national parks are sanctuaries for wildlife and places of inspiration for people. Allowing concealed guns would lead to more shooting of wildlife, and make conflicts between visitors more likely to turn into tragedies, they say. In Minnesota, there's one national park -- Voyageurs National Park in the lake country on the Canadian border. Federal officials wouldn't allow Voyageurs' acting superintendent or its operations manager to talk to Minnesota Public Radio news about the rule change. But the Voyageurs National Park Association, a citizens group that promotes the park, is concerned. The group's executive director, Cory MacNulty, says Voyageurs and other national parks are the crown jewels of the nation -- they were set aside to protect wildlife and to give visitors a really special experience. "Some of the concerns that have been raised are certainly the potential impact on visitor safety, as well as the potential, with more loaded guns in our parks, to have an impact on wildlife," MacNulty said. Currently people can bring guns into the parks, but they have to be unloaded and put away in the trunk of a car or other inaccessible place. In Minnesota, 51,000 people have a permit to carry a concealed weapon. The change is a new idea, and most people living near Voyageurs National Park haven't heard much about it. But among those who are thinking about it, reaction is mixed. Dean Litwiller has operated resorts on the edge of the park for more than 30 years. People who are licensed to carry guns should be able to bring them into the park, he says. But, he says, no one needs a gun to protect themselves from wildlife -- wolves don't attack people, and the few bears that become a problem are better controlled with pepper spray. "I don't think a person would ever end up using it for protection," Litwiller said. "But I guess if a person is licensed to carry one, I don't see the harm in it." At the same time, he says it's unlikely anyone would need a gun to protect themselves against people, either. "We don't get much riff-raff up here," Litwiller said. "They're working the alleys somewhere. The person that comes up here and goes out into a national park usually doesn't have anything devious on his mind, other than catching a few fish and enjoying the wild country." 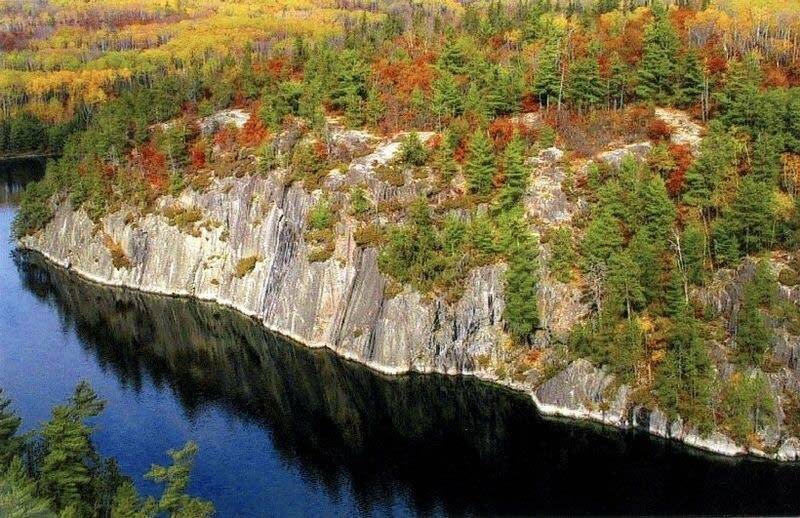 The Voyageurs National Park Association and other groups are asking for more study on the Interior Department's proposal. Right now the department is conducting a 60-day public comment period.